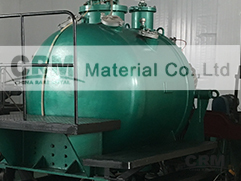 China rare metal material co.,ltd make many kinds of materials and products, we need some special and common equiqment, please check bekow. 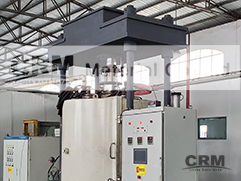 CRM occupies a series of first-rate and integrated equipment list: vacuum induction melting,VIM; vacuum hot press machine, hot press; vacuum carbon tube furnace; vacuum arc remelting,VAR; cold-mold arc melting; Levitation furnace; granulating machine; Cold isostatic pressing machine;Vacuum high press synthesis machine; Vacuum reaction stove; High pure water equipment; Vapor-Phase Synthesis stove; muffle furnace and kinds of sinter stove; Vacuum grinding machine; Forging and roller; hydraulic presses; Electric discharge machines(EDM); Grinding and Lathe and Milling and drilling machines and so on. 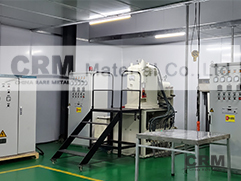 Laboratory Introduction: CRM is strict with our new products, we have some methods to analyse the products. 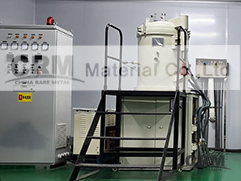 Main eiquipment: XRD, ICP-AES, Chemical lab, metallographic microscope, four point probe, ultraviolet spectrophotometer, Mechanical laboratory and so on. 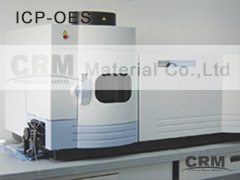 Inductively Coupled Plasma Optical Emission Spectrometer (ICP-OES) ICP-OES is an analytical technique used for the detection of trace metals. It is a type of emission spectroscopy that uses the inductively coupled plasma to produce excited atoms and ions that emit electromagnetic radiation at wavelengths characteristic of a particular element. 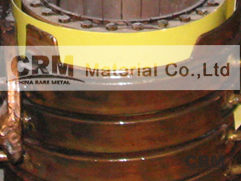 It is a flame technique with a flame temperature in a range from 6000 to 10000 K.